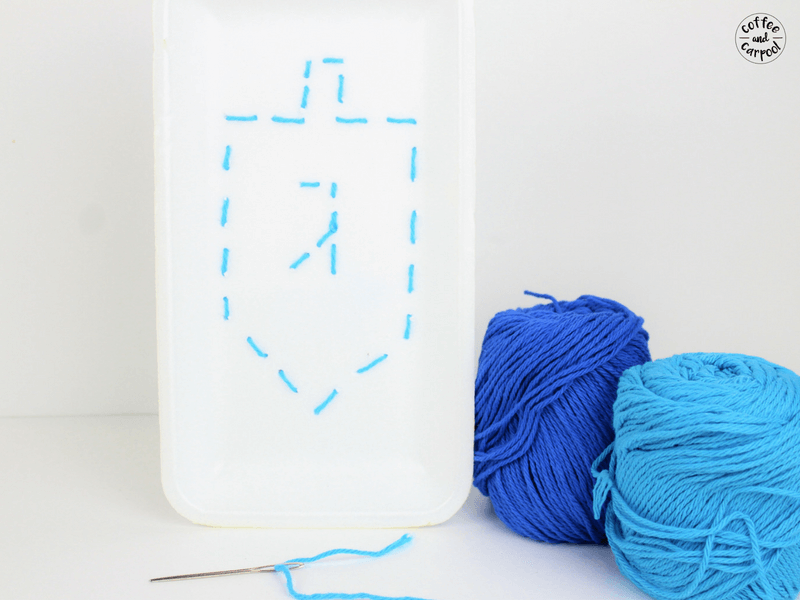 Inside: How to Teach Your Kids to Sew with this fun Hanukkah sewing craft with a dreidel. In our family, we celebrate Hanukkah and Christmas. And it can be a little tricky being an interfaith family. 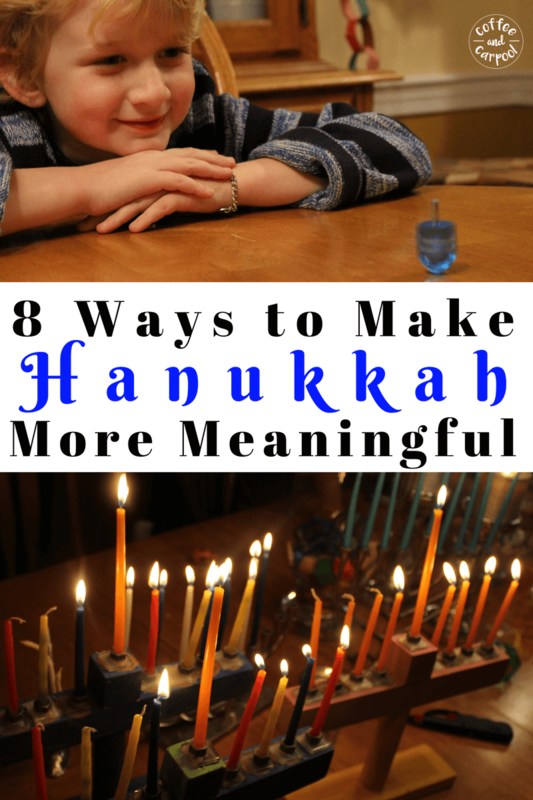 The amount of Hanukkah crafts and decorations are always outnumbered by the Christmas decorations and craft ideas. 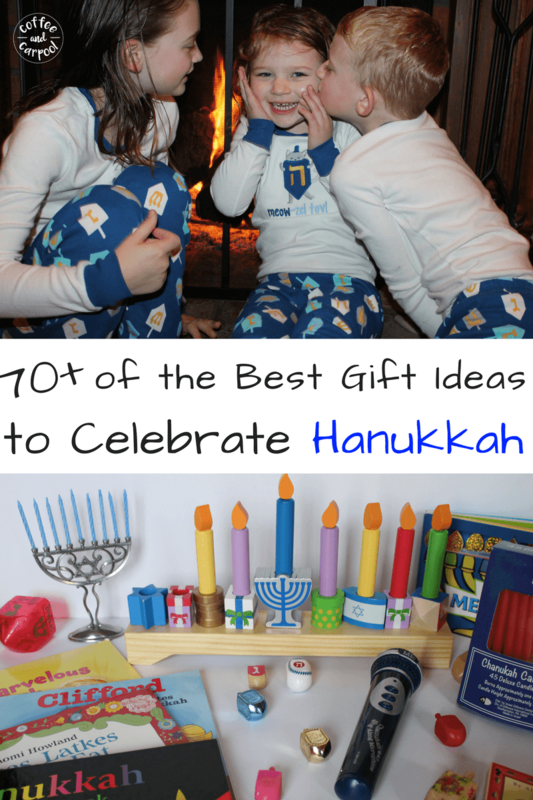 So I love it when my kids can create fun Judaica crafts perfect for celebrating Hanukkah. 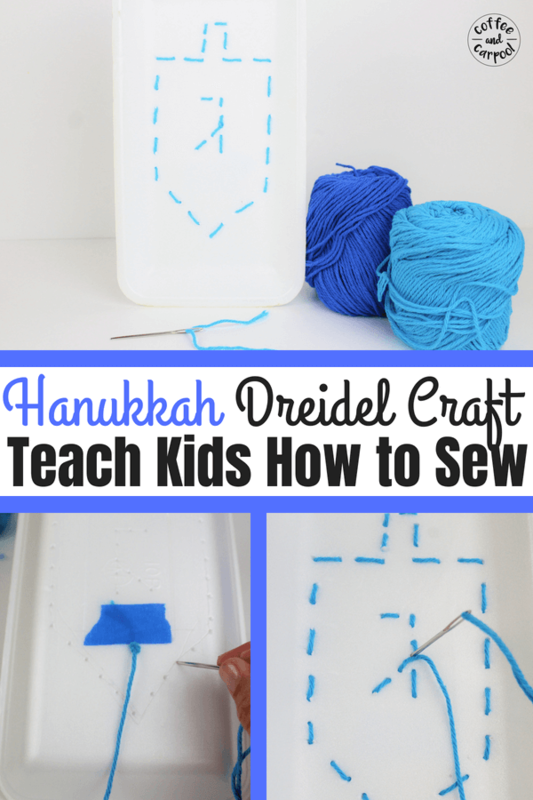 And since my kids are wanting to learn how to sew I taught them how to make a this Hanukkah dreidel sewing craft. 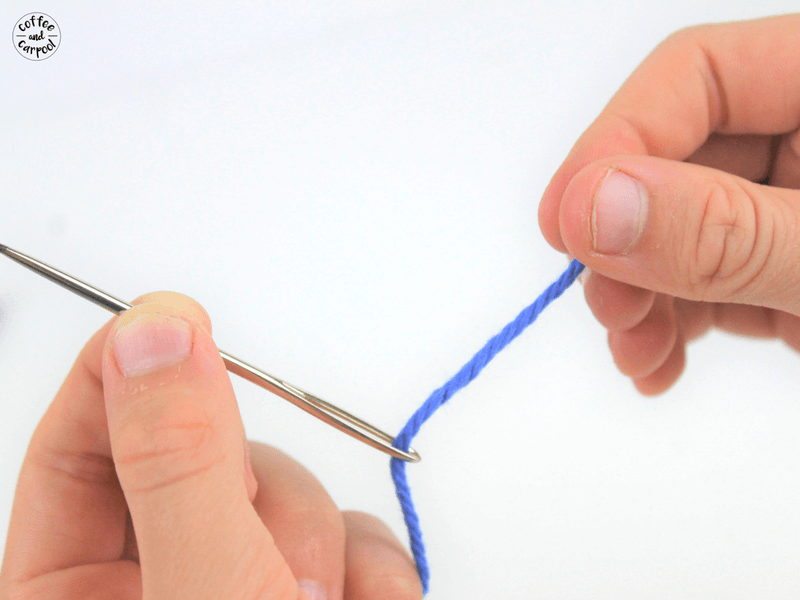 Thread the blunt needle with the yarn. Cut off about 2 and half feet of yarn. Tie the end of the yarn with a double knot. 3. 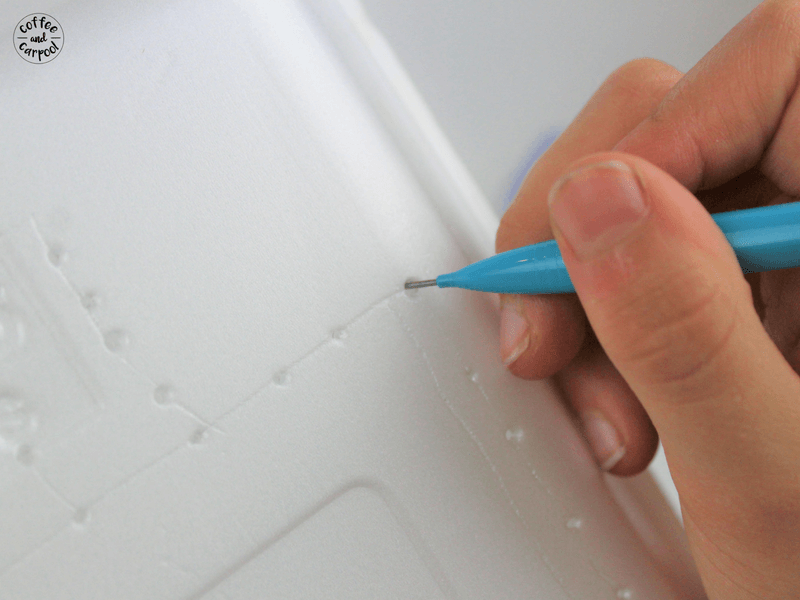 Draw a picture of a dreidel on the back of the styrofoam tray. If you’re drawing a Hebrew letter of nun, gimmel, shin, or hey, make sure to write it backward on the tray so it appears correct on the front of the Hanukkah sewing craft. 4. 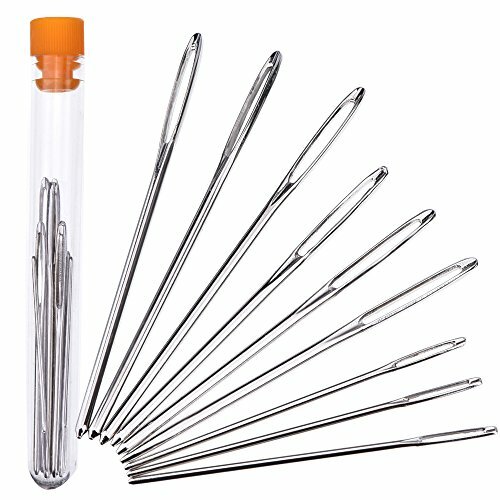 Using the mechanical pencil, poke a hole about every 2 cms. Make sure the hole goes all the way through to the other side. 5. 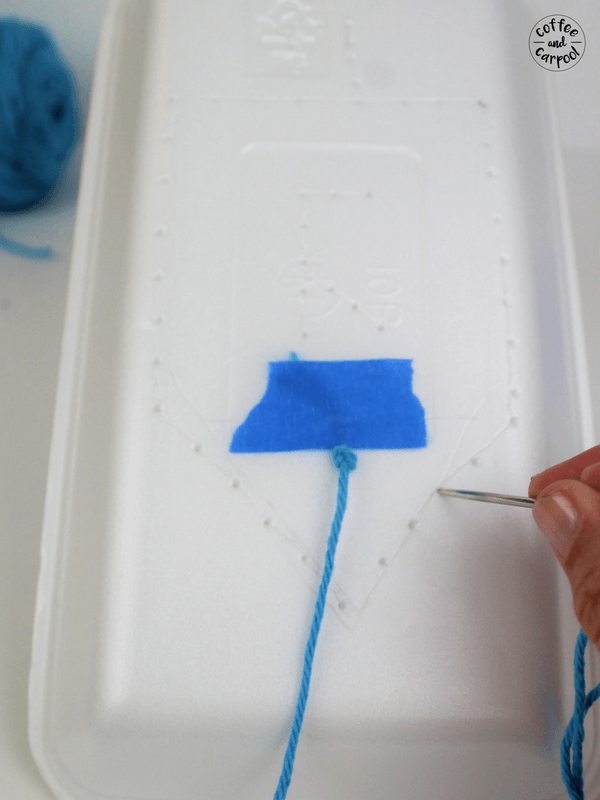 Tape the end of the yarn to the back of the tray and use the needle to go through the first hole. 6. 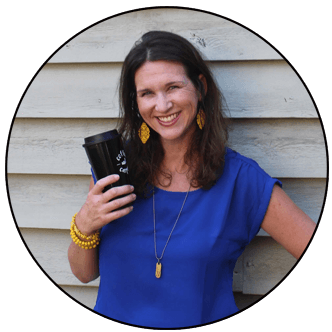 Remind your young sewers to pull the yarn all the way through before putting the needle in the next hole. 7. Follow around the picture of the dreidel to finish the sewing project. 8. 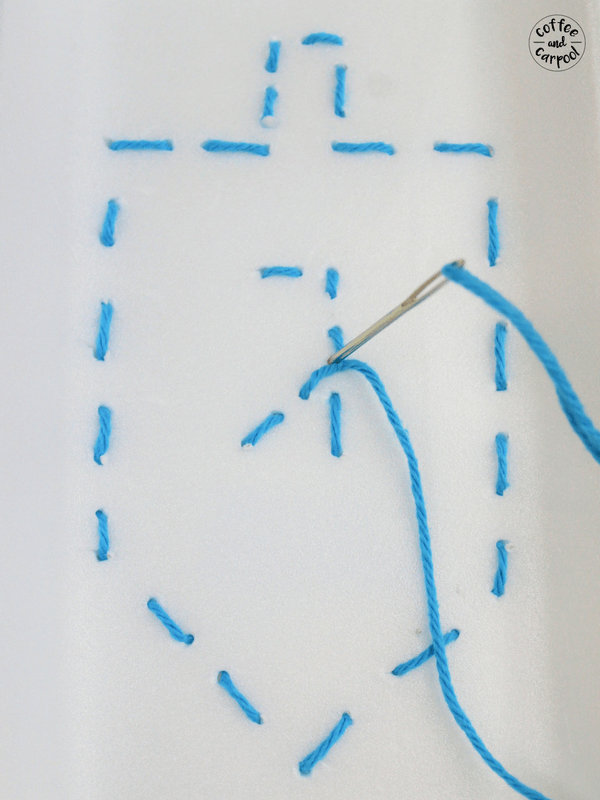 As you get near the end of the sewing project, make sure the needle finishes on the back side of the meat tray. 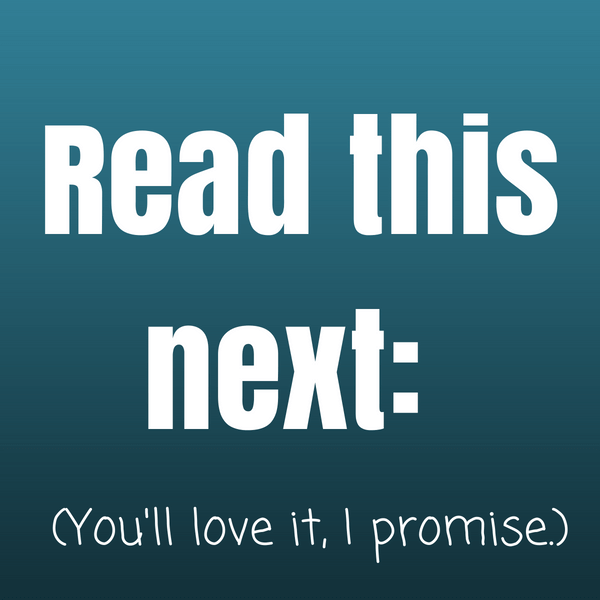 You may need to add an extra hole to make sure that happens. 9. 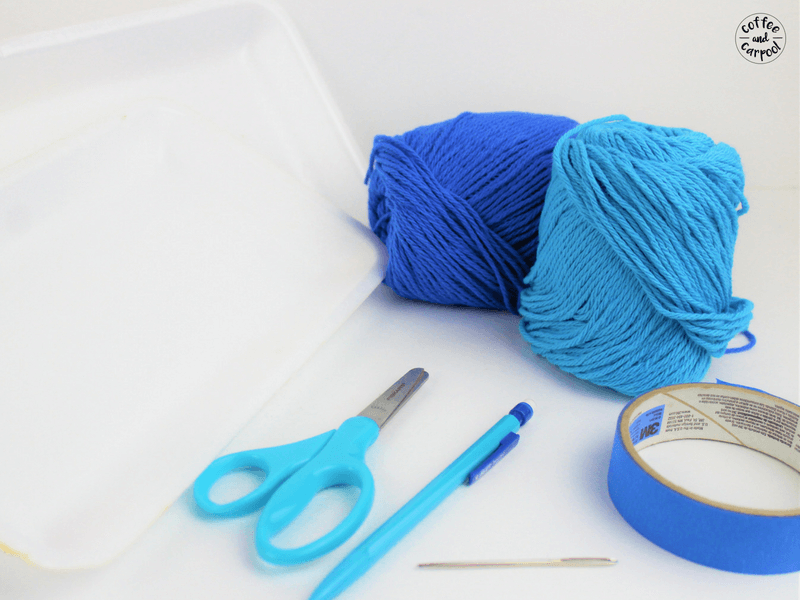 Cut the excess yarn off, tie a double knot and tape down the end. 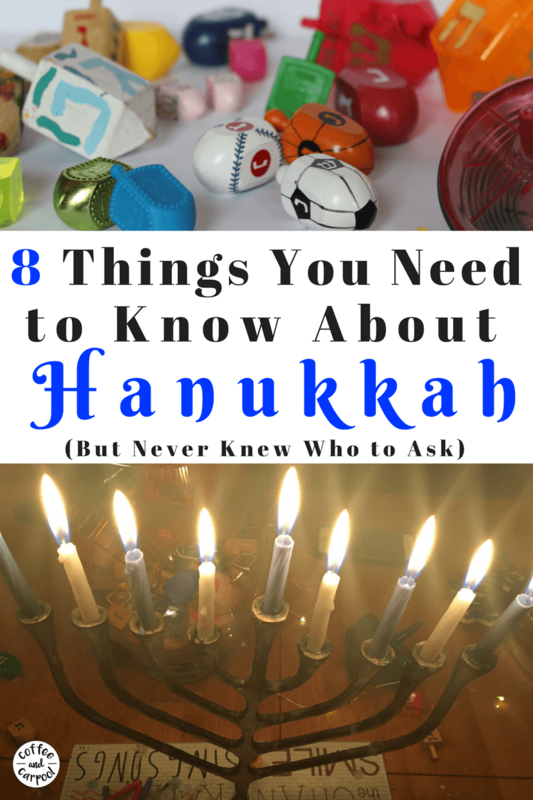 Happy Hanukkah and enjoy your 8 nights!